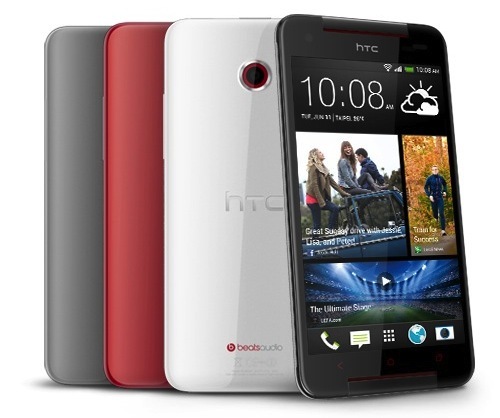 HTC releases the Butterfly S - an "energized" version of the HTC One. It packs a 1.9 GHz quad-core Snapdragon 600 CPU (just like the Galaxy S 4), better battery and a microSD slot. Just like the original Butterfly phone, the Butterfly S throws in a full HD resolution in a 5-inch screen that encompases a 440ppi pixel density.Design-wise, it still have the same old Butterfly case. You'll never have to worry about your memory, aside from the microSD support, the 16GB internal memory is backed up by a free 25GB Dropbox storage. Of course, the One's Ultrapixel camera will have its way through this monsterphone. On top of the Android 4.2, the Sense UI 5.0 will offer HTC Zoe, BlinkFeed and other embedded HTC softwares. And most of all, the eye-watering 3200 mAh is the deal-maker for this 160-gram puppy. HTC Butterfly S is expected to hit its homeland (Taiwan) in July for USD 766 (Php 33,000). There's no bells yet on its global release but I'm way too excited about this device. How 'bout you?